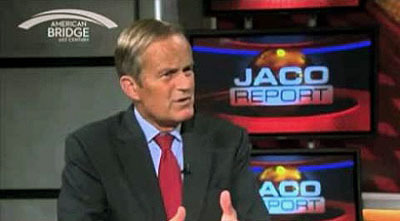 Can Todd Akin Survive in Missouri? This is a fairly common fringe view among extreme social conservatives, but they normally don’t promote it in public, and certainly not on mainstream television. Still, my first thought was: this is Missouri. Akin’s a Republican, and Republicans never punish their own for being too conservative. It’ll all blow over and he’ll lose a couple of points in the polls, but that’s it. Drugged, raped, and pregnant? Too bad, says the House GOP. Or is it? Josh Marshall suggests Akin is in bigger trouble than we might think. “I checked what some people I consider key GOP operatives were saying on Twitter just now and they’re running for the hills a bit more than I’d expected. To be more specific, they’re advising all GOP candidates to disavow Akin as quickly as possible (no big surprise there) and don’t seem particularly optimistic he can even stay in the race (that does sort of surprise me).” ThinkProgress collects some GOP reactions here. I’m sticking with my prediction: it all blows over and Akin doesn’t even lose much support. Am I right? Or has my cynicism about the GOP’s bottomless tolerance for lunacy gotten the better of me? Comments are open.